For healthy and glowing skin, healthy lifestyle and proper skin care routine is very necessary. Healthy and well nourished skin begins from the inside out, but skin damage starts from the outside in. Pollution, dirt, and other factors in the air affect our skin, so our skin requires special care and nourishment at night. There are many natural ways to protect our skin and reduce the impact of pollution and apple is one of the best fruit that can nourish, revitalize and refresh our skin naturally. Apple is rich in vitamins A, B, C and antioxidants. Consumption or face masks of apple help in maintaining a healthy skin and glowing complexion, it also helps in regeneration of skin cells. Red apples are rich in elastic and collagen that reduces wrinkles, the appearance of fine lines and it also tightens the saggy skin. A green apple contains vitamins A, C and antioxidants, which also lessens the probability of developing skin diseases. Apple is natural toner and astringent, it is also very beneficial in lightening the dark spots, dark circles, eye bags and cam treat sun burned skin. The antioxidant in apple promotes healthy, glowing skin and re-energized the dull skin. Apple contains malic acid, which is an alpha hydroxyl acid, this acid works as natural exfoliate and gives you soft and smooth skin. For the best, fast skin benefits of apple and to get rid of various skin problems like dull skin, wrinkles, acne, pimples, oily, dry skin, dark spots, under eye dark circles and skin tightening effects try following homemade apple night cream. 1. Cut the apple into small pieces (remove the seeds). Try to use green apple, if not available, then you can use red apple also. 2. Grind the apple pieces in the grinder or blender using 5 tablespoon of rose water. Make smooth paste of it. 3. Then add 2 tablespoon of Olive oil or vitamin E oil, turmeric and 2 tablespoon of honey in this apple paste and again grind them all together properly to make very smooth and semi thick paste of it. Remember, paste should be very smooth. 4. Store this mixture in the glass container and keep it in the refrigerator. This homemade cream will be last long for 6-7 days, so, finish it within a week. 1. First of all cleanse your face and skin around neck with natural or ready made gentle cleanser. You can use lemon juice and milk to cleanse your skin naturally. Simply mix 1-2 teaspoon of fresh lemon juice with 2 teaspoon of milk. Apply this mixture on the skin and gently massage your skin for 4-5 minutes, then wash off with water. 2. Now take 1-2 teaspoon of the apple cream and apply it on the face, neck and gently massage your skin with finger tips in upward and circular direction for 5 minutes. 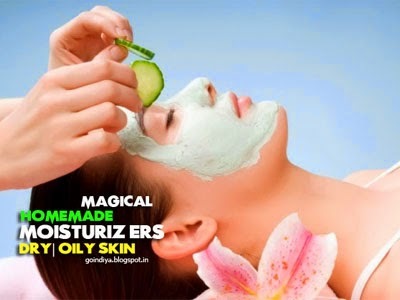 Then apply 1 teaspoon of apple cream again on the face after massage and leave it on overnight. 3. In the next morning, wash it off with normal or lukewarm water and pat dry. If you fill dry skin, ten you can also apply natural or mild moisturizer afterwards. Olive oil, vitamin E oil and rose water improve skin tone and reduce the skin pigmentation naturally. Olive oil is known as wonderful natural skin moisturizer, it contains nutrition and antioxidants such as vitamins A and E. These properties of olive oil are very beneficial in anti aging and removal of wrinkles. Whereas rose water gives you soothing effects and relaxes your skin. Rose water helps to maintain pH balance of our skin; it also fights acne, pimples and revitalize, moisturize the skin. Honey is known as great anti aging agent and natural moisturizer; it is also rich in minerals, vitamins and antioxidants, which protect our sensitive skin from harmful UV rays.